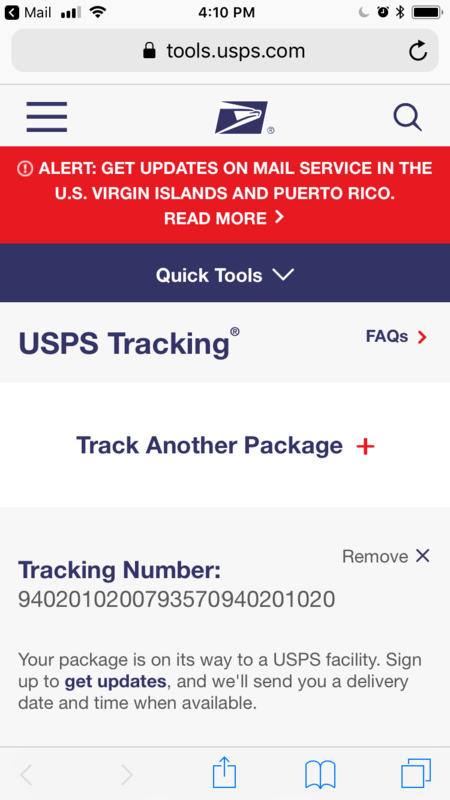 iOS makes it easy to quickly track any shipment or package via your tracking number in your email, note or message. This is a handy little tip that can speed up tracking your package and can be especially useful when you’re in a hurry or waiting on an important delivery. First open up your email or message with the tracking number. Apple’s data detection software will automatically recognize tracking numbers from a variety of popular shipping and delivery services including Amazon, Apple and shipment services such as UPS, FedEx and more. Tap and hold the tracking number. A menu will pop up. Tap on Track Shipment so that you can track the shipment directly using the associated shipping service for it. When you click on Track Shipment, Safari will open up instantly with the associated shipping device such as FedEx, DHL, UPS, USPS or other tracking service. 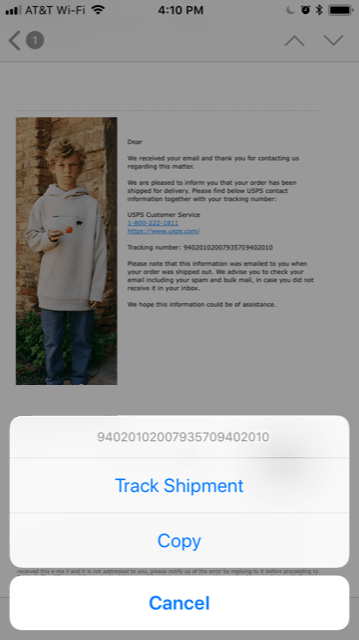 If you click on Copy instead, your tracking number will be copied to the clipboard and you can then plug in that number directly to the shipping provider’s webpage in Safari or use their individual apps. The ‘Track Shipment’ feature is usually faster to use. This feature works on the iPhone, iPad and iPod touch going back several versions of iOS.